21 series cylinders are manufactured to ISO 15552 standard which specifies interchangeable mounting dimensions. The cylinder tube and end plates have a clean profile making them suitable for use in dusty environments and wash down environments such as the food industry. The cylinder tube is internally and externally anodised, offering an excellent resistance to corrosion while providing a low friction surface for the piston. This product has been designed to have extraordinary strength. 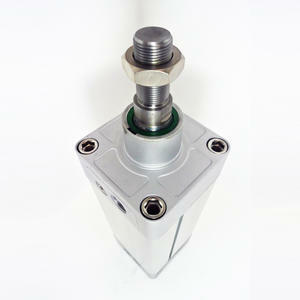 The piston design (magnetic as standard and complete with cushion bushings) is a solid aluminium block. The tube is assembled using end caps with internal tie rods.